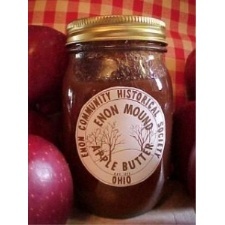 The Enon Community Historical Society sponsors the annual Enon Apple Butter Festival as a community service project. The Historical Society makes apple butter the old-fashioned way in six, 50-gallon copper kettles, cooked over open wood-burning fires. Canning and selling of the apple butter is done at the festival in the afternoon as it becomes ready. Annual attendance is estimated at 8-10,000 for the two days. Note – please do not bring your pets to the Apple Butter Festival.